Here is another piece I created using the limited edition Sofiero Collection by Maja Design. Soft and beautiful, I chose the browns and blues in this collection to work in a beach type theme. We love the beach. I love these papers. Why not combine both "loves". So that is what I did. This is a photo of my husband and me at the beach last year for a perfect sunset. 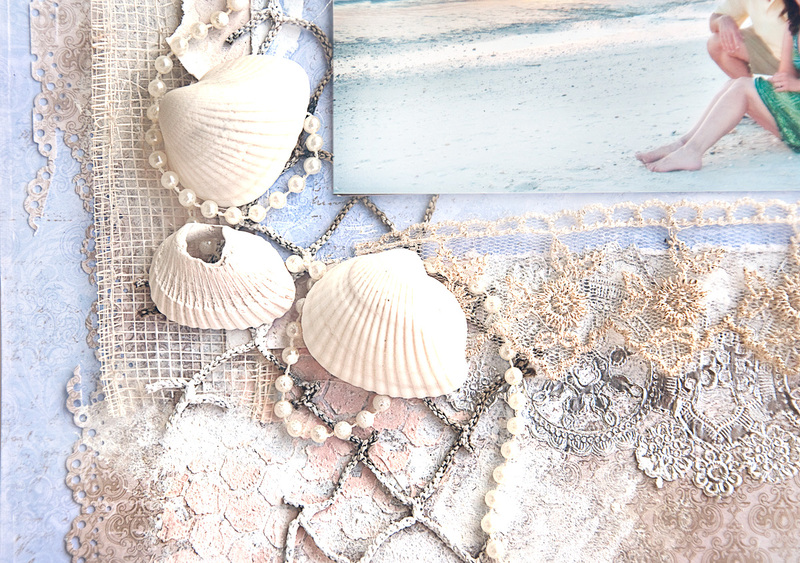 I cannot think of any collection more fitting for me to capture my beach memories. The shells were also collected at this beach which makes the piece that much more memorable. 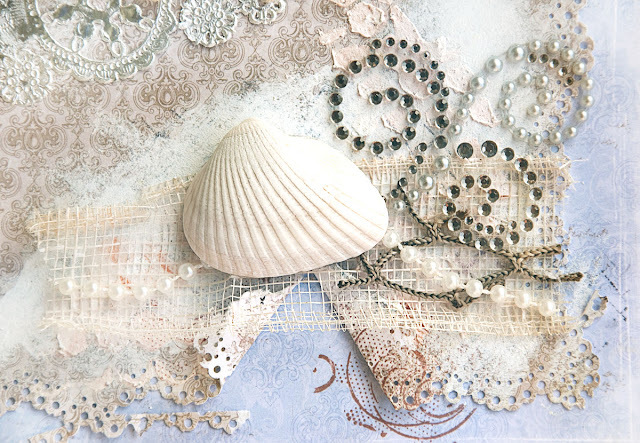 I created some seaside texture using Shimmerz Texturez and some lace. Thanks for looking. Remember, the Sofiero Collection is limited so you don't want to miss it. Oh wow, it's such a gorgeous beach lay-out for that amazing photo!